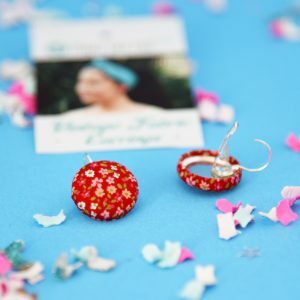 Dangly Earrings – Tiny red floral earrings. 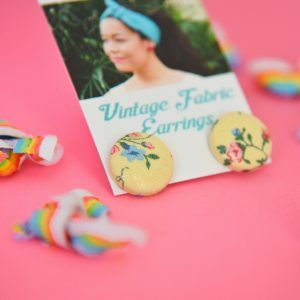 Vintage Fabric Earrings. 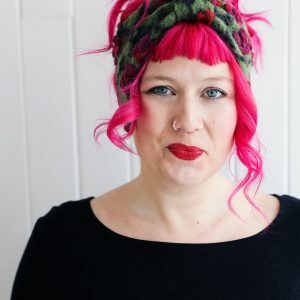 Felted Headband ‘Eleonor’ – turban style headband – Olive green with fuchsia pink. 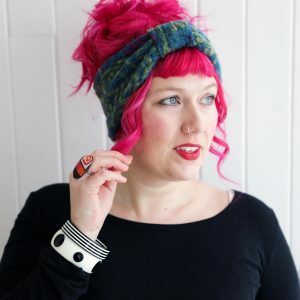 Floral. 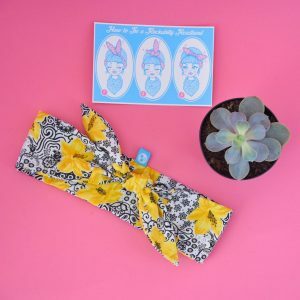 Rockabilly Headband: Black pattern with yellow florals. 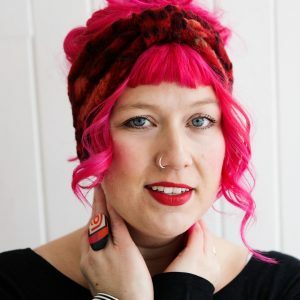 Stud Earrings – Vintage Fabric Button – Light yellow. Delicate floral print.